Perhaps Taylor Deupree does not need introduction. Having made an imprint on the electronic music scene in the mid 90s, Deupree went on to create his very own form of ambiance: meditative, minimal, and very much organic. As an owner and the curator of the world renown 12k label, Deupree is responsible for the output of an incredible catalog of globally spanning abstract, experimental and ambient material, from artist such as Kenneth Kirschner, Frank Bretschneider, Lawrence English, Stephan Mathieu, and too many others to name here. His own collaborations include the celebrated works with Marcus Fischer, Christopher Willits, and of course, Ryuichi Sakamoto. 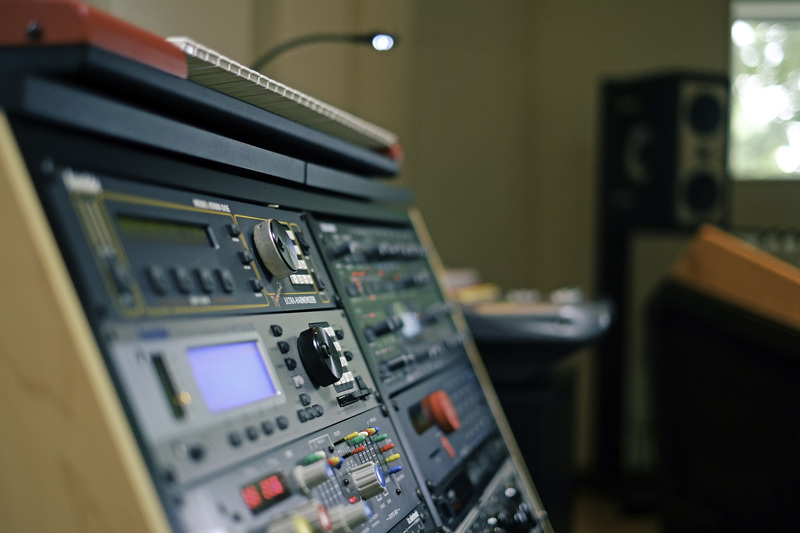 As a mastering engineer, Deupree is credited for much of today’s electronic and experimental music. This interview has been a long time in the making, and we are both proud to finally present you with the result. Enjoy! 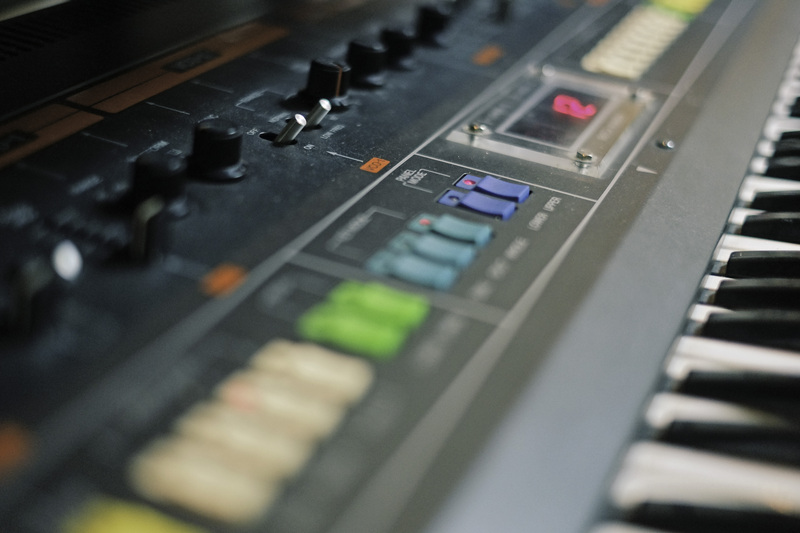 If we disregard the (orange) drum set I had when I was 12 and 13 (which I now wish I still had), my first piece of equipment, after I had decided I wanted to be a musician as a career, was a Juno 106 synthesizer, in 1985, when I was 14. Being naive back then and not knowing much about synthesizers, I was convinced that this would be the only synth I would ever need as I assumed that a “synthesizer” could “synthesize” any possible sound. Of course, I quickly learned this wasn’t the case, and thus started the never ending acquisition of equipment. My formative teen years were spent listening to a lot of 80’s electronic music and the idea of the one (or two) man band was really appealing. I quickly realized that this is what I wanted to do for the rest of my life and it seemed electronic music was a great way to express myself. I realize now I could have picked up an acoustic guitar, learned to sing and become a one-man band, but at the time it was all about electronics. I made a friend in high school who was also going down the same path and we got together and wrote music every weekend for years. We learned and grew together, and experimented a lot. We recorded everything to cassette. Hundreds and hundreds of compositions from 1985-1990. I still have every single tape, each song labelled with the date it was made. From that first year (I was 15) onward it’s just been a constant learning experience. Exploring, teaching myself, reading what I can and learning by trial and error. I’ve never taken class on electronic music or studio techniques. I’ve always been determined to be self-taught, I think it’s really important for personal expression, finding your own voice. During those early years I had two rooms at home. One was the main bedroom and my equipment moved around in there but eventually I moved the gear to the second room as I acquired more. This became my first “studio” I suppose. I had a few synths, drum machines, a 4-track and a couple cheap effect boxes. I used this until I went to college where, again, I set up in the dorm room or apartment until graduating and setting up again in other apartments and spare bedrooms. I suppose I’ve had 7 or 8 locations that could be counted as studios or music rooms, various extra bedrooms and such. But now, after all of these years, I have my first studio that’s outside the house. 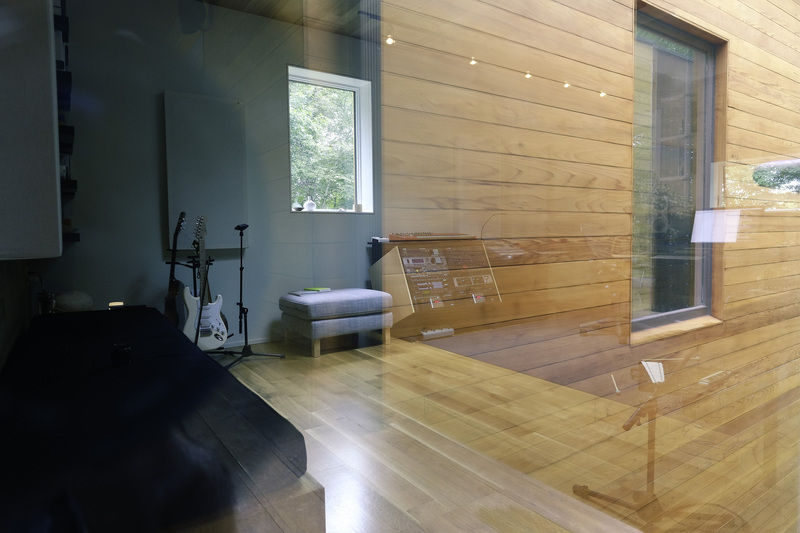 A purpose-built, beautiful room that sounds great and is really inspirational. 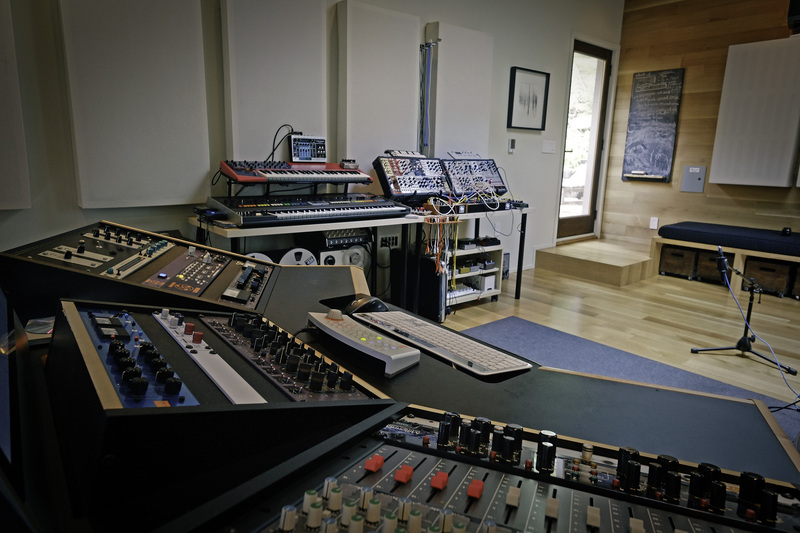 It’s funny to look at this room, and the equipment and say.. “wow, after 25 years, this is all there is…” Not that it’s not wonderful and amazing, but I’ve bought and sold so much gear over the years. It’s been distilled down to a real core of deep, varied equipment. I know what I like now and know what I need and don’t need. Sometimes I think that could be a difficult question to answer, because not only does equipment go in and out of interest for me at times but also it’s difficult to say an equalizer is “better” than a synthesizer…. or that any one piece is my favorite. Probably the most *important* piece of equipment in the studio are my monitors. After using a few great ones over the years I’ve settled on these Barefoot MM27s which I find to be a wonderful speaker for both mixing and mastering, which is vitally important to what I do every day. I have this sort of hybrid studio and hybrid career where I need to blend the mastering business and my own songwriting into one setup, the Barefoots perform amazingly and are incredibly unforgiving speakers. Bad mixes sound really bad and good mixes sound spot on. They are not “pleasant” monitors, they are simply true. That being said, it’s probably safe to say my favorite piece of sound-creating hardware is my Roland Jupiter-8 synth. Not only does it have a family history (it was given to me by my uncle, who bought it in the early 80’s) but I love its sound and find that it fits so easily into any production when I use it. I have a strong bond with the instrument and it has a wonderful soul and story. Speaking of soul, I realized a couple of years ago that this is what really bothers me about software synthesizers, software in general I suppose; I’d argue that it has no soul. Soul, to me, is made, formed, bruised, earned… from history, from stories. Moving from place to place, battle scars, interactions. A physical object can have a soul, a history of being touched, used, owned, by various people. Physically worn from use. Software, to me, just doesn’t have that. Yes, it has a personality, that of the designer, who has likely done brilliant work in the coding, but beyond that I find it difficult to see anything beyond the surface. There are no ghosts, no dust. For almost 25 years now I’ve used Mark of the Unicorn’s Performer software for all of my composition (introduced to me by Kenneth Kirschner in 1990), it became Digital Performer a bunch of years ago when DAWs started coming on the market and I never saw a reason to switch away from the program that I know so well to something like Pro Tools or Logic. Ableton Live feels far too trendy for me and I don’t really relate to their marketing, though I know it’s a very powerful program. I’m not so interested in crazy DSP effects anymore like we used so much 10 years ago. Now, I like to view the computer simply as a recording device, a multitrack machine. I use some, but very little, software synthesizers from time to time. I do quite like the software from Madrona Labs, Aalto and Kaivo. These are really interesting and different sounding synthesizers and they bring something to my palette that I don’t have in hardware (well, Kaivo, mostly). They both have a very organic sound quality to them, I think that’s why I’m drawn to them. I do all of my mixing in DP, EQ and track-related mixing tasks. Production plugins sound so good now and the convenience of it on top of the sound is hard to beat, soul or not! I’ve got a hybrid setup with a lot of hardware and software, I find it’s the best of both worlds. Convenience and sound quality. I don’t take field recording too seriously, in terms of fidelity. I’m more interested in capturing a mood than pristine reality. My main recorder is the one I always have on me: my iPhone, equipped with a Zoom m/s microphone. It makes a great little recorder. Just like they say about cameras, the best one is the one that you have with you, so you don’t miss a photograph. I also have an older Tascam field recorder, but really, the iPhone is much better so I just use that and it works great for what I need it to do. Tell us about some of the “found objects” that often make into your music, and any manipulations that you apply that make these sounds not so obvious. A lot of times when I’m working on a collaboration with someone we’ll get out of the studio, take walks, talk, visit somewhere inspiring. It’s nice on these occasions to pick up something from the environment to use as an instrument. When Marcus Fischer was here recording “In A Place Of Such Graceful Shapes” we found some fantastic dried reeds and seed pods in the park we were photographing. These made it into the recording, probably with little manipulation. I think its important, much of the time, to keep these found objects sounding true and real, as an homage to the discovery, place and time. In our recent trip to Japan, myself, Stephan Mathieu, Federico Durand and Illuha spent a couple of days in a beautiful spot by the forest and sea. We made un-plugged recordings during an all-day session and hike that involved many plants and stones from the area. I find it fun, too, if I can, to buy a small piece of equipment or instrument from a place I’m visiting. I don’t do it all the time, but it’s nice to be back home in the studio and look at a guitar pedal, or a bell that I bought overseas and have it remind me of the trip I took and the time spent with friends. Instruments should have stories. When they do it comes across in the music. There always is, really… whether it’s a new synth module or some vintage effects processor. 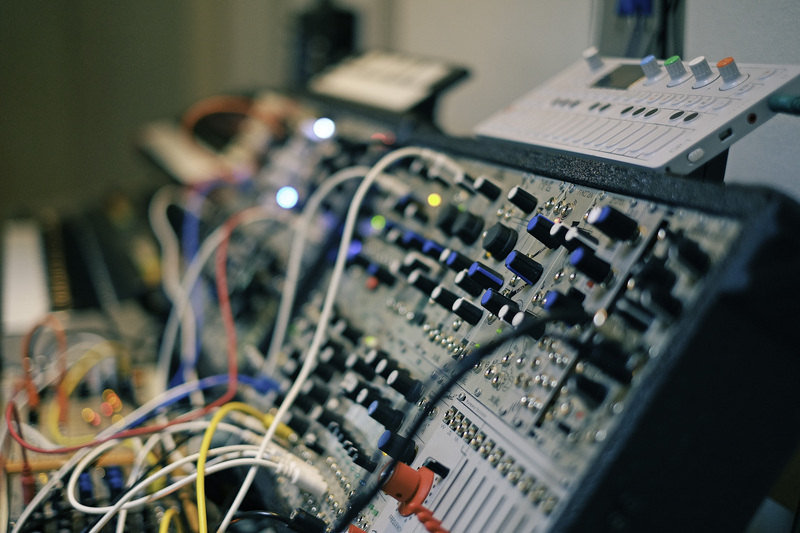 But the holy grail, of synthesizers anyway, for me, that’s out of reach… is the Waldorf Wave. I’m a big fan of the Waldorf Microwave and the Wave is an incredible, hands-on version of that with even more possibilities. Sadly they’ve been selling for over 10,000 euros lately. At that price, I don’t find it makes sense. I’d like to pick up a Tascam 8-track cassette recorder, I think it’s called the 238. That’s on my short list. 8 tracks crammed onto a cassette. It’s got to be lovely! I honestly feel like the best music is created with the most meager of equipment. That the less you have the more creative you are. But being so constantly fascinated by all of this recording and music making technology makes it pretty difficult for me to keep a tiny setup. However, this is really where rules and collaborations come into importance, which we talk about below. Restrictions and concepts help narrow the tools for a particular project, thus push the creativity a bit more. My live set always seems to be changing, but I’m always trying to make it as live as possible with as little pre-recorded material as possible. I happily dropped the laptop many years ago for gigs, which was a huge burden off of my shoulders. I came up in the gigging world of the mid-90s with very live, analog instruments, and using the laptop live for a few years after that was really depressing to me. It always seemed too safe and sterile. The latest incarnation of my live rig is a flight case of eurorack modular synthesizer, along with an OP-1 synthesizer and a couple of guitar pedals, usually a looper and an eventide H9 and/or a Strymon El Capistan. 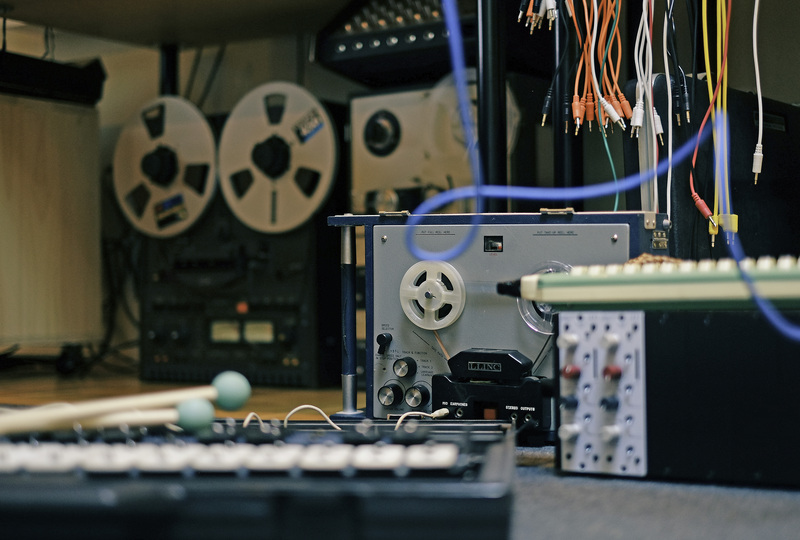 That forms the electronic core of my sets and I’ll usually add to that some found objects, acoustic instruments, cassette players, or anything to give a more physical, tactile sound. It seems to be a compact system that’s capable of traveling well (so important!) and giving me a lot to do, manually, while I try to search for an (im)perfect repeating loop to lull listeners into a sleepy state. I have been making plans for an even more stripped-down a focused system. I have a couple of different ideas that would be conceptual performances in themselves. Perhaps something I will present on the road at some point as being a little different than what I usually do. 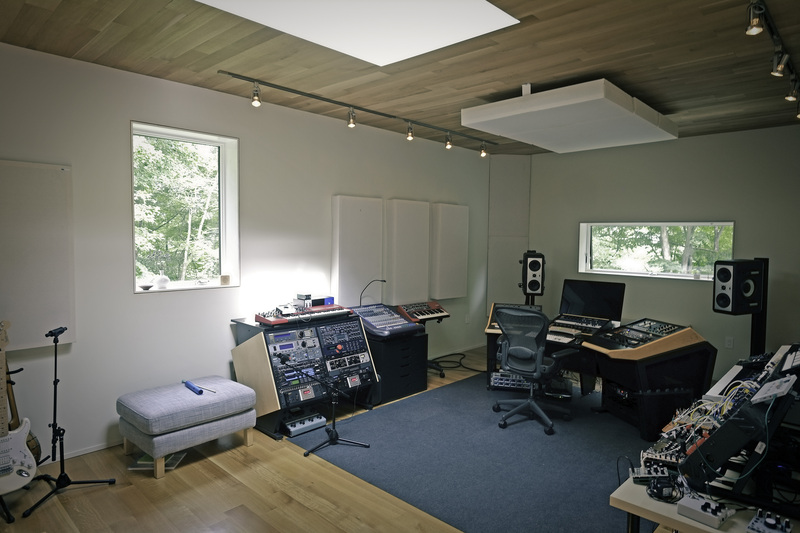 When I built my new studio one of the most important decisions I made was to try to strike a balance between proper acoustics and comfortable vibe. I wanted a space that not only sounded good, and accurate, but was also relaxing and didn’t feel too much like a “studio.” The more I use my space, and it’s only been a few short months, the better I realize it is. It not only sounds really good in there, all around the room, but it’s so comfortable and inspiring to be in. The vibe comes from the modern, yet warm, design. Wood on the floors, back wall and ceiling, a nice big window in front of me while I work and a skylight that opens up that acts as passive cooling and a beautiful source of light. 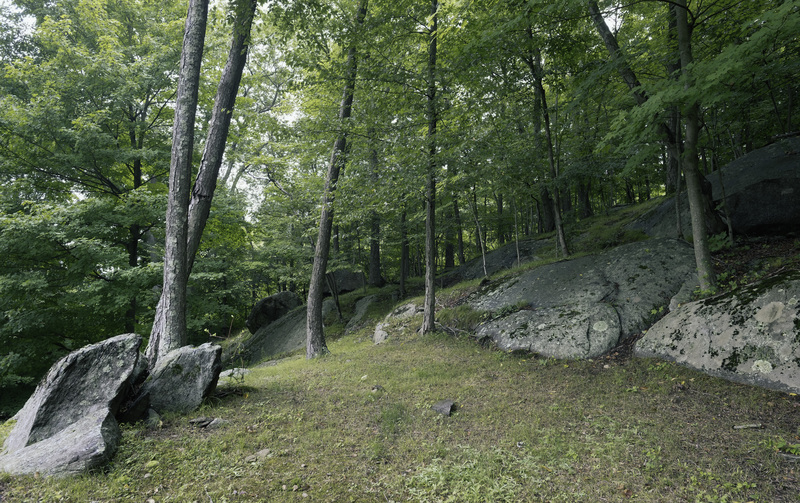 The studio is off the back deck of the house and opens up to giant faces of rock and forests. It’s so connected with nature. Inside I’ve tried to make it as ergonomic as possible. I keep it very tidy and have incorporated some smart storage tricks. The gear is easy to access and there’s plenty of space to move around. I’m always trying to perfect the cabling or interconnections between gear. It’s not perfect everywhere but my setup and wiring is really complex. A mastering setup is hooked up really differently than your typical writing/mixing setup and I’m trying to do both. Sometimes there’s a piece of gear that I wish was connected to a different part of the studio. I’d like to have better routing of computer audio tracks out to my hardware effects processors. Right now my hardware effects are used solely while recording. It’s a pain to change the cabling to use them when mixing from the computer. I know how to set it up but it will mean sacrificing another connection. My work comes about in many different ways. An idea could be born from a single sound I made… recently, or months ago (I keep an archive of sounds I work on), or just hooking up a microphone and noodling around on a guitar or a lot of times not even in the studio. I’ll get ideas for songs by looking at visual art, or taking a hike in the woods, or talking to a friend, or on travels. These sparks are so important, and also the most difficult to come by. When they hit, those inspirational moments, I know it’s time to grab the moment and start writing. From there the composition is a process that usually involves building out from the center. The beginning and ends I’ll do last and are often only there because they have to be. I usually view my music horizontally. It may be a concept from Eno. My music is less about a start and end, less about linear time, as just existing in time and space as if the listener is set down in the middle of the sonic world and simply exists. At some point enough layers are built up that the composition process takes on a subtractive role. carving, shaping, taking out what’s not needed to make the most of what I’m trying to say with the least I need to say it with. One bit of trivia: I can’t ever start a solo album until I know its title first. I always come up with the album title before I start working. It helps me focus. However, I’m extremely picky when it comes to titles and often don’t actively think of them. I’ll wait for them to come to me, serendipitously. Which is one reason I take so long between solo albums. I sit and wait for the title to appear. Talk about the overall difference between composing a solo album and collaborating with other musicians when creating music. For me composing solo albums is very difficult, not in a hard sort of way, but in that I really have to be in the right mental space. It takes a lot of mental energy to conceive of and feel comfortable with a process of writing to make an album. I’m also quite critical of my own work and fall into a sort of isolationist mentality where I’m sensitive about every aspect. It ends up taking me months to write an album, which on its own isn’t necessarily that long, but there is always a couple of years of mental preparation that leads up to the initial writing. Solo albums are often deeply personal, but at the same time allow me the freedom to do whatever comes naturally in the studio, to grab whatever instrument is piquing my interest at that moment and just go for it. Collaborative albums are pretty much the polar opposite of my solo works. They’re often created more quickly, with less stress and can be a lot more playful. Having another person right there to bounce ideas off of takes away a lot of the self-doubt and makes the writing process a bit more carefree. Additionally, most of my collaborations are fairly conceptual when it comes to process, instruments and approach. This helps when time is short, helps us to focus on a set of instruments or rules to get the job done. Probably the most important, and exciting, thing to me about collaborating is how much of a learning process it is. Watching someone use some instrument that’s been in my studio for years in a totally new way. We get caught up in habits, good or bad, and to have a fresh pair of eyes, ears and hands in the studio really sparks new life. In collaborating I also tend to take more risks. Perhaps I’m working with someone whose music is a bit different than mine. Or perhaps we’ll decide to do something really different. I strongly believe that collaborative efforts should follow the 1+1=3 rule. The best ones are when two people get together and create not a simple sum of the parts, but something new and unexpected. This can’t be forced, and isn’t always successful, but when it happens it’s great. All this isn’t to say I enjoy collaborating more than I enjoy solo work. My solo work is the most important thing to me. It comes from deep inside and defines me. While I start with a “no rules” approach to my studio I always hone the concept and try to push myself in new directions. If I’m not learning something, or making mistakes, then there is no point. After I “finish” a piece (I rarely consider my work ever finished) I will let it sit for weeks or months. I’ll keep writing through the album to gather what I feel is enough material. After songs sit for a few weeks I can approach them again with fresher ears and see if they held up and are good enough for the album. I’ll hone things this way until I have a rough track order for the album. A really important aspect of the end of the process, which I’m not sure I’ve talked about music, is that I’ll almost always send the rough album to Kenneth Kirschner to hear. Ken and I go back a long way and really understand each other’s music. He has always given me totally honest feedback that I know is a pure critique with no false compliments added. I think part of the reason this works so well, besides Ken and I having known each other for almost 20 years, is that our music is really quite different from each other. He listens differently than I do and expects different things. I feel like this perspective is really important, more so than if I just sent the tracks to someone whose process and sound were really similar to mine. Ken and I are really open when it comes to critiquing each other’s music. It goes both ways and neither of really feel confident about our end results unless the other has made some significant suggestion/change to the album. But we also are completely free to ignore each others commentary, too! Ken expects that of me for sure. He knows my music tends to be “pretty” which is something he completely tries to avoid in his own music. I think if Ken is happy with my album, then it makes me feel more confident about it, to let it go into the world. Once all that is out of the way I will let the album sit for a few weeks again before I master it. It’s such a golden rule of mastering to never master one’s own music. But my day job is a mastering engineer and I’m such a control freak (not to mention I don’t charge myself anything) that I just do it myself. And I love my analogue mastering chain and know it well. It’s really important to step away from it for a long time first, to approach it with fresh ears, that’s how I justify it. At some point it’s time to let the album go out into the world. It’s almost like seeing a child leave the house. It’s out there, on its own, and is received and judged on its own merits. Everything that came before, that lead up to that final day, is now in the past and the music must speak for itself. At that point I have no control over it, so it’s really scary to me. I know that besides being a musician, you’re also an avid photographer. Tell us about the process and the equipment you use to take photos. My interest in music and photography developed around the same time, when I was a young teenager. They’ve always been my two halves and I’ve so often thought of them as these joined things. With photography, however, I’m far (far!) more relaxed and confident than I am with music. In fact, I think I’m a pretty good photographer most of the time. I tend to be less self-critical and enjoy my photography more than my own music. There are a couple of reasons for this I think. For one, photography isn’t as important to me as music, so I don’t worry about it nearly as much. It’s also “easier” in that I can capture a good photograph in a day… or in a 60th of a second, where a good song may take me weeks. There’s a bit more luck to photography I find. Being at the right place at the right time. It’s really a different form of expression, so different, it compliments the music really well. But also, I don’t spend much time learning about other photographers the same way I do other music/musicians. I’m not immersed in the world of photography like I am the music world. As a result I’m not constantly comparing myself to others or feeling like something is sub par, nearly so often. I’m sort of in my own photographic world and enjoying what I do quite a bit. It’s a nice place to be, but definitely consumes less of my life than music does. I shoot with two main cameras, a Fuji X-Pro one digital and a Polaroid SX-70. Although, I have a few other cameras I use but usually for a specific concept or project, like a Holga with a Polaroid back, or a hand-build plastic Recesky which was 100% responsible for all of the photography on my album Faint. I’ll always post-process my images in Photoshop. This is quite an important part of my process. I don’t use digital manipulation to alter subject matter or composition as much as I do to augment it or create a mood. It pretty much comes down to color processing and shifting spectrums or general “photographic” types of processes. I like to have my photographs appear to be one step removed from reality, in some way. To exist in this slightly dreamy place. I won’t even start, or consider an image worth keeping unless the subject matter or composition are there. I was trained as a film photographer in darkrooms but also I was never good at making “perfect” exposures or these textbook, technically great images. In photography school I was always interested in alternative processes and making something out of what’s at hand (quite like my music, really). I have this streak of traditionalism in my photography, at least to the point where I really don’t like over processed or really fake looking images very much. You must be able to strip away all of the processing and still be left with a good image at the core. How does the music making and the photo taking interweave with each other. What are the similarities in your approach and what are the unique differences that compliment each of the individual art works? On some level my music and photography are about the same thing. Isolation, time, stillness… with an inherent silence, and quiet. They are both influenced heavily by nature and minimalism. I enjoy a hybrid approach in both photography and music; the blending of the digital and the analogue. The past and the future. My photographs are almost always void of people and with that I like to comment on humanity’s impact on the natural world. I’m not sure there is quite the equivalent of this in the music. What’s so great about the two art forms is that they rely on different senses so it’s a wonderful way to explore the world. I’m always looking at things from a photographic eye and always listening to the world as a sound artist. I think it’s quite a natural fit, to be interested in both of these things, to exercise multiple senses in this way. I feel like I procrastinate all the time, but it’s usually to go do something else that’s one of my jobs… like, procrastinating a mastering job so I can go fill 12k mail orders or something like that. I juggle quite a number of different roles in my professional career from running the label, to being a musician, a mastering engineer, a graphic designer, a photographer… so there’s always something creative to do when I’m burned out of something. When it comes to truly procrastinating I’ll grab the iPad or a computer and play a game or run household errands or clean the house. And on the weekends, unless I’m out of town or alone, I will rarely do work related to any of my careers (although I tend to photograph a lot on the weekends). I do have everyday life to manage and an amazing family to spend time with. Somehow I’ve managed to balance everything…. such an important concept in life…. balance.